Parkinson’s is a neurodegenerative disease, meaning that it gets worse as time goes by and there is no cure. If you think about it, life itself shares those characteristics, but there is one important difference. For us having Parkinson’s, the downhill slope is much steeper than for people without a neurodegenerative disease for company. The good thing is: there is plenty we can do to help ourselves! If you have read my blog before, you might remember my visit to the neurorehabilitation centre in Portugal and how much benefit I found from exercise. Unfortunately I find it very difficult to maintain my exercise regimen at home, and one of the main reasons is that I have been struggling to find a physiotherapist within a reasonable geographic area who knows enough about Parkinson’s to be able to help me come to grips with my biggest issue, which is “freezing-of-gait”. I will keep looking and any tips, suggestions and ideas are more than welcome! I am currently reading a very interesting book that supports my belief in exercise as a very potent complementary treatment for Parkinson’s and many other neurological problems. The book is written by Norman Doidge and is titled “The Brain’s Way of Healing” and was recommended to me by a friend with a complex neurological condition that the medical world have failed to address, leaving my friend to help himself as best he can (which he does quite successfully). My “Parkie” friends will be interested to know that “The Brain’s Way of Healing” has an entire chapter dedicated to Parkinson’s, where the author in commendable detail gives an account of the experiences of John Pepper. John Pepper is in no way uncontroversial in the Parkinson’s world, being known for his website “Reverse Parkinson’s” and his book with the same name. Without commenting on whether or not John Pepper’s methods are scientifically sound and sufficiently stringent, I can only say that what I read in Doidge’s book really resonated with me and supports my own conviction that my medical treatment for alleviating my Parkinson’s symptoms can be significantly enhanced by the use of exercise. To me, this is a great consolation on days when Parkinson’s really gets to me and everything feels black and hopeless. Because, I’ll be honest: knowing that Parkinson’s never takes a day off in the constant gnawing away on my motor and non-motor functions is not an easy burden to carry, even on the brightest and sunniest of days. I make sure to remind myself, as often as I can, that every effort I make to keep moving, helps keep neurodegeneration at bay for a little longer. I do my very best to be as stubborn as Parkinson’s is relentless. Time for a walk! Parkinson’s never takes a day off so neither can I! 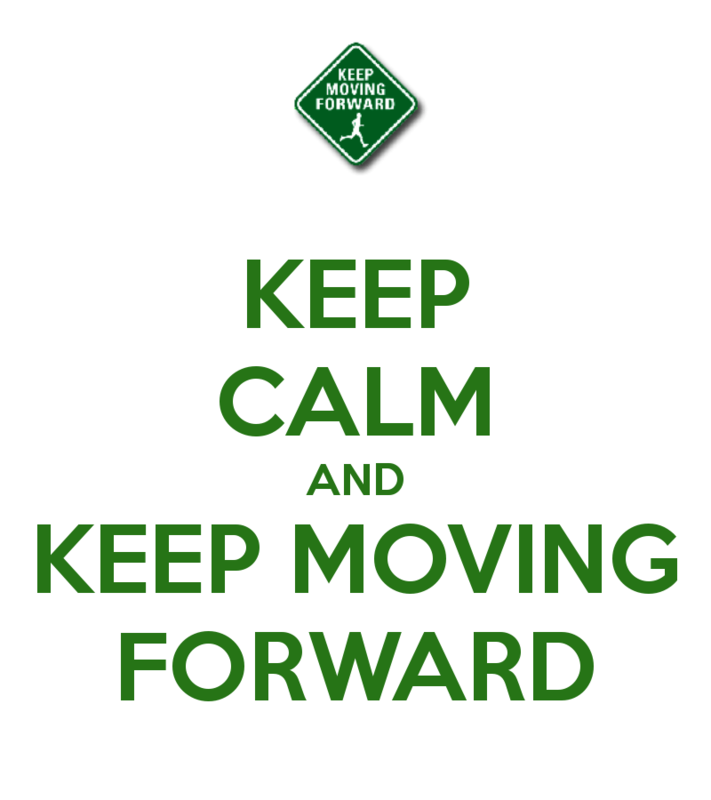 Keep calm and keep moving forward! Sara, wonderful post as always! Hi Sara. This is John Pepper. I am pleased to read your remarks and I share your anxiety with Pd. My story really is true and many of the people I regularly speak to have gained a lot from it. But few have made the commitment to start doing regular hard walking. They are convinced that medication will some day cure their Pd. In my opinion it never will. I am looking to make a video about what I do, but I don’t know that I will be able to afford it. Don’t give up! Try this fast walking, and see what it can do for you. It took me 8 years to get where I am now, I don’t think it can be done any quicker. If you do start walking, you will slowly feel the benefit of it and your symptoms will slowly get better, as mine did. I’m glad Jon pepper is being praised these days and not called names. All be ever did is write a book saying what he did for himself that helped his pd. Thank you for sharing! You are quite an inspiration to me and I am sure to many others. I just started reading the Norman Doidge, book which I bought two days ago.. Look forward to seeing you in Oregon 2016, and to further posts. Keep up the good work! !